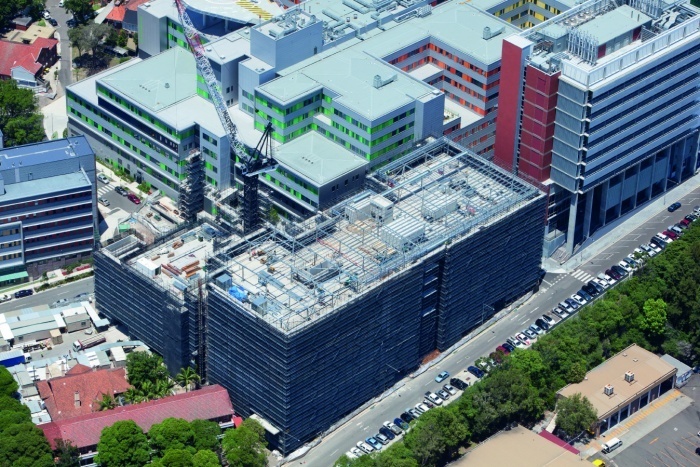 Clinical Services Building At Royal North Shore Hospital (RNSH) provides an additional 29,000 square metres of health services to the campus. RNSH is one of the State’s major trauma centres. The new building provides a variety of services including a private mental health unit on level two, a women’s health and maternity unit across levels three and four, a general inpatient unit on level five, and a severe burns unit on level six. A pediatric inpatient unit will make up level seven.